One of the most buzzed about films at this year's Toronto Film Festival was "Nightcrawler," Dan Gilroy's electric directorial debut. Starring Jake Gyllenhaal, Rene Russo, and Bill Paxton, this great thriller opens on Friday, October 31. 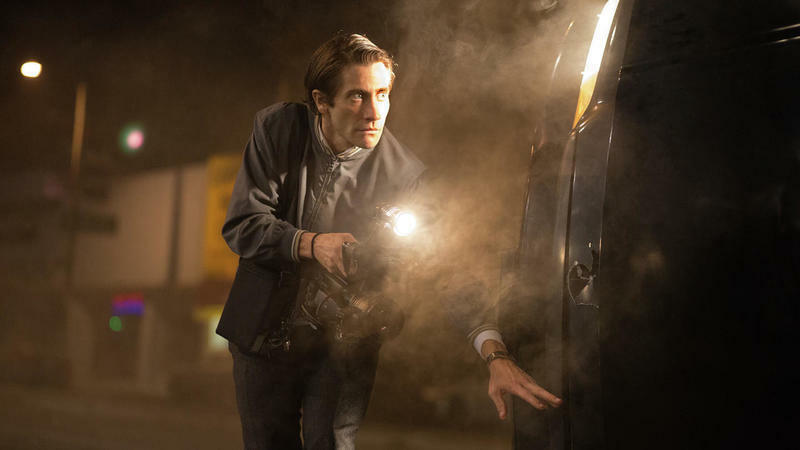 Brian Tallerico wrote about the film after it's TIFF premiere, "“Nightcrawler” is an L.A. story through and through. Writer Dan Gilroy makes his directorial debut and proves more than capable at pacing a gritty thriller like this one, but hiring cinematographer Robert Elswit as his D.P. may have been his smartest decision. Los Angeles hasn’t been this vital of a setting since “Drive,” as Lou’s story is lit by the night lights of the City of Angels—street, head, and dashboard. "Nightcrawler” hums, pulses and vibrates with the night life of a city where getting attention has become more essential than getting ahead. Well, they’ve become one and the same." Katherine Tulich sat down with Gyllenhaal and Russo to discuss this fascinating piece of work.